Malware and installed programs can modify your default settings. With Tweaking.com - Windows Repair you can restore Windows original settings. When you first run the program you will be introduced to 4 steps before the repair options. These steps are highly recommend to do before attempting any repairs. Trying to fix a system that is currently infected is obviously a very bad idea and can make things worse. An infection can hijack a machine and keep part of the repairs from running correctly. Since only part of a repair will work the other part that failed could end up causing problems. Rule of thumb before working on a system is to make sure it is clean. Even if you think your system is clean doing a scan before hand is a good idea. Doing a check disk on the hard drive is a good idea. This will have Windows check the file system on the drive fixing any problem it finds. Corrupt files can break a lot of things, including the repairs. So making sure the file system is good is a must. 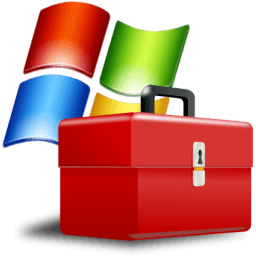 The built in Windows system file checker is a tool that checks that the Windows files are intact, the correct versions and not corrupted. This is a good idea to do before doing repairs as if a file is corrupt and we try a repair that needs that file then the repair will fail. Doing a system restore point is a great idea to do before doing any repairs. If any unforeseen problems happen after any repair than a system restore can put the system back to the way it was before the repairs. This is highly recommended. Basic Mode: This will run only the most basic, safe repair options. Extra advanced repairs are disabled. Custom Mode: Every repair is available. The program will remember your repair choices the next time you choose custom mode. Microsoft keeps changing the path for windows defender in windows 10, so when restoring the service from the repairs windows defender would no longer work because it would point to the old path. For now the windefend service for windows 10 has been removed from the repairs to keep from breaking windows defender in Windows 10.